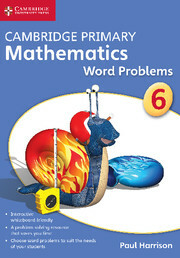 Extension and enrichment for all through problem-solving and mathematical investigations. 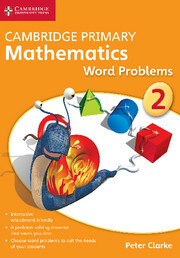 Cambridge Primary Mathematics Word Problems Stage 1 provides a database of over 500 mathematical problems matched to the Cambridge Primary curriculum. Questions can be selected according to level of difficulty, operation and topic, allowing you to create and customise differentiated activity sheets and whiteboard screens for consolidation and practice of problem solving skills. Find word problems appropriate to the needs of your pupils and develop tailored, differentiated activity sheets. Activity sheets can be generated quickly for early finishers or to provide extra practice when needed. Whiteboard-friendly screens are included so you can teach problem-solving skills or draw ideas together in the plenary. 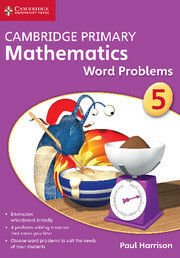 Each DVD-ROM contains hundreds of word problems matched to each mathematical operation allowing for repeat practice and saving your time in having to invent new word problems. 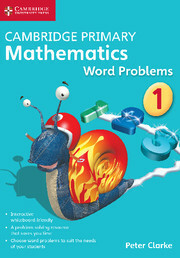 Helps you embed the use and application of key calculation skills into your lessons. 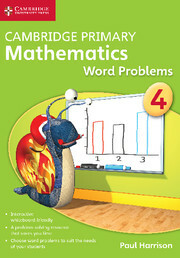 Answers are included for the teacher, together with useful advice on teaching and learning problem-solving strategies. 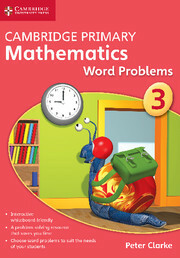 Printable record sheets and problem-solving posters for the classroom.